We cannot start without a comment about the season this time. Yep! Completely different again. But this time it looks as if the elements have been working for us. We seem to have plenty of nuts set on the trees, and that would be typical around the country from what I hear. Though the cold snap may have inflicted frost damage in some South Island areas. Let us know how you are getting on. 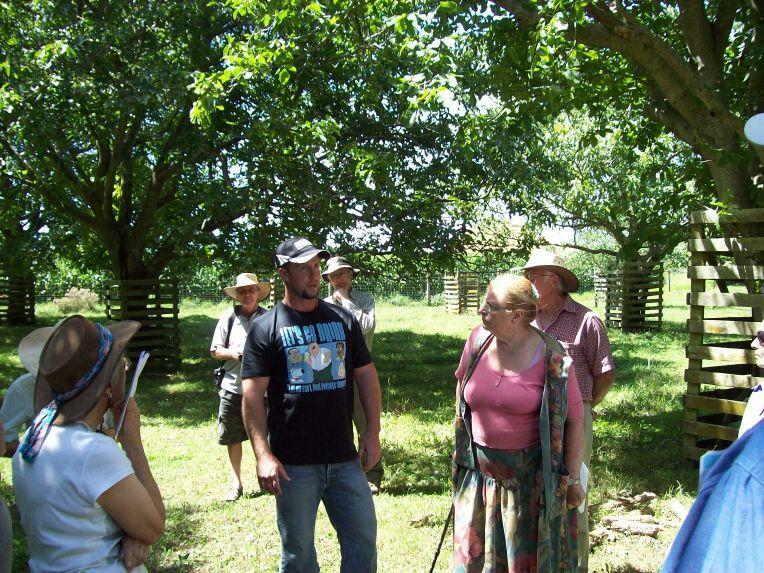 John Frahm in his walnut orchard during the Walnut Industry Group visit last February. His father, Doug, who actually owns this bit, says these trees are loaded down with nuts this year. They will be welcoming this rain as Kawerau is pretty dry at the moment.